One can never have enough snail-sucking snakes and it is with vast relief that we report that five new types have been discovered in Ecuador. 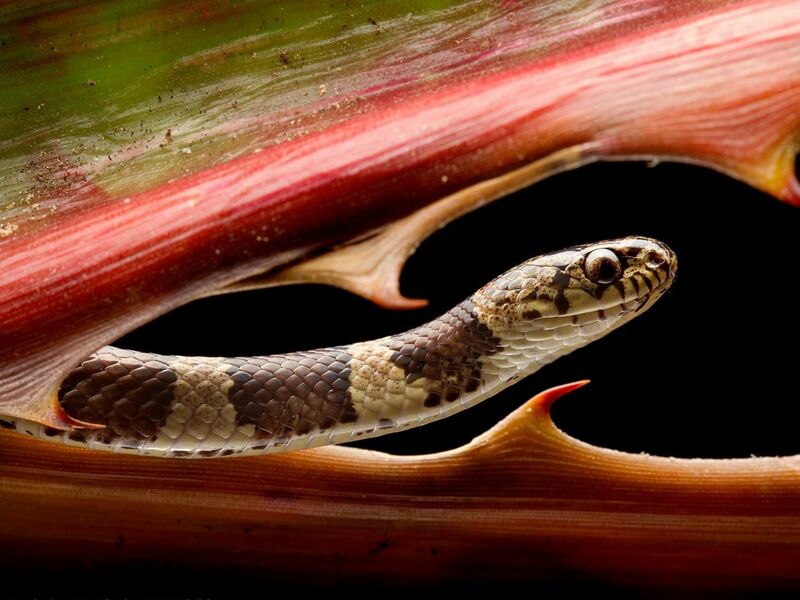 The discovery brings the known number of snail-eating serpent species to 77, says PhD student Alejandro Arteaga, who revealed the discovery in a paper published with colleagues Thursday in ZooKeys. But the scientists who found them forbore to name the reptiles. That is because they're already going extinct - which gave the anguished zoologists an idea: to hawk the right to name the snakes, and spend the proceeds to buy land on which the endangered mollusk munchers live, in order to protect them. Which begs the question: how is a new species named? "The first thing you would need to do if you found a new species is to confirm that it is new. One way to do this is to bring it to the attention of a biologist who specializes on the group of animals to which your species belongs. If it is a snake, you bring it to an herpetologist," explains Arteaga. "With the help of this scientist, even you can choose the name, and make it valid, as long as you follow the guidelines of the International Code of Zoological Nomenclature." World, meet Sibon bevridgelyi, which like its relatives, sports a unique jaw that can slurp a juicy snail right out of its shell. It doesn't have to resort to rats, birds or eggs like usual snakes. In fact snail-sucking snakes have never been observed eating anything that isn't slimy or gooey, Arteaga tells Haaretz. Sibon "is arguably the prettiest of the lot," the research team wrote. Haaretz has to agree – look at those eyes. Sibon bevridgelyi (Bev Ridgely's Snail-Eater) was named by zoologist and conservationist Dr. Bob Ridgely in honor of his father, say the authors. "Dad was a serious birder, and a good all-around naturalist, visiting the tropics many times, sometimes with me as his guide," Ridgley told Haaretz. "On the one hand, he was not especially fond of snakes, but he did not fear them either. I think it’s wonderful, and were he still with us, he’d be pleased." The conservation group Rainforest Trust named another of the new species Dipsas bobridgelyi after its president: none other than Bob Ridgeley. Together Ridgeley and the Rainforest Trust had won the right to name three snakes altogether. The third was called Dipsas georgejetti after conservationist George Jett. 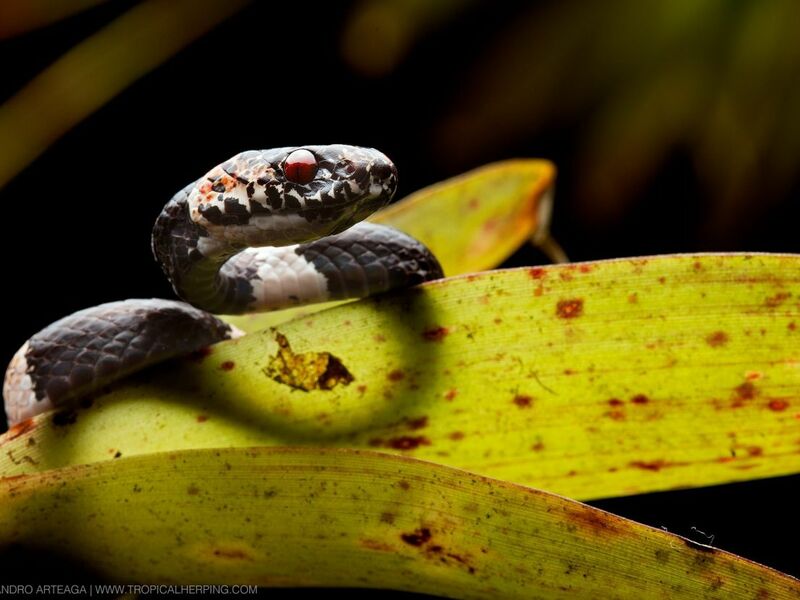 Watch Alejandro Arteaga and science communicator Phil Torres seek snakes in the rainforest. 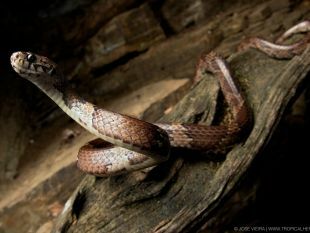 The other two snail-eating snake species were named Dipsas oswaldobaezi and Dipsas klebbai after conservationists Dr. Oswaldo Báez and Casey Klebba. Let's be frank – naming a star or asteroid after your kid is neither useful nor formal. The fact that you probably paid some company a lot of money for that "privilege" is moot. "Naming an entire species after someone you love or admire is different," Arteaga suggests. "With few exceptions, this is the name that both the general public and the whole scientific community will use. So, why not let people choose the name of a species in exchange for a donation that protects its habitat?" It is nice that scientists are naming new species after their parents and each other. An extinct early mammal was named Brasilestes stardusti after David Bowie's fictional character Ziggy Stardust. In April a water beetle discovered in Malaysia was named for actor Leonardo DiCaprio, who thus joined an A-list of celebs with insects named after them - Arnold Schwarzenegger and George W. Bush, to name but two. By the way, what if you name a species after a cousin or celebrity who reacts with horror? That is a problem. Species names can change but not because somebody finds the name appalling or offensive, Arteaga observes. "The name is essentially forever. Therefore, it needs to be chosen wisely." 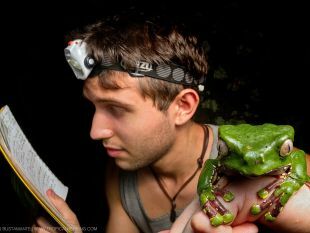 Of the five new species, three were discovered between 2013 and 2017 by Arteaga with Dr. Alex Pyron of George Washington University in the Ecuadorian rainforest. The other two were found in ordinary forest by Dr. Omar Torres-Carvajal of the Pontificia Universidad Católica del Ecuador and colleagues. 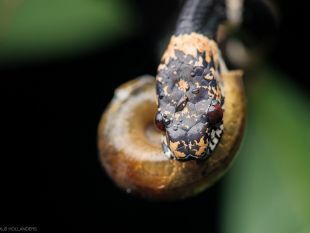 In general, snail-sucking snakes live throughout the tropical areas of the American continent, particularly in Central and South America, says Arteaga. The new species were differentiated from previously known species by counting their scales and measuring them and, more persuasively, DNA analysis. If you can't believe snail-sucking snakes are a thing, watch this. The only bad news is that four out of the five newly discovered species are at risk of extinction. That isn't actually a rare thing among newly discovered species, which if they're bigger than a bacterium, tend to be characterized either by weird lifestyle, which is why we never noticed them, or scarcity. The auction took place at a Fundación Jocotoco gala in New York City, to promote conservation. And to be honest, the winning bids were about the only bids. And then the team used the money to buy 178 acres of land that had not been protected but on which these snail-slurping snakes live. The land was added to the Buenaventura nature reserve. The scientists did not disclose how much was raised, but did disclose that they weren't the first to sell the privilege of naming a new species. 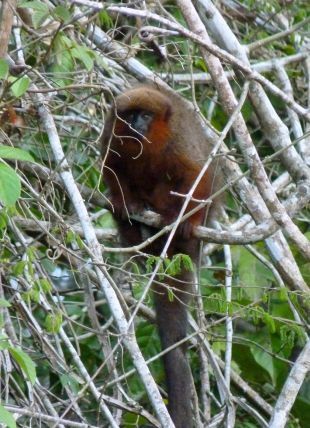 In 2005, an auction was held for the same right regarding a small orange-brown titi monkey discovered in Bolivia, that stands about a foot tall and weighs just over a kilo. That sale netted a cool $650,000 for Bolivia’s park service. The winner of the monkey auction 13 years ago was coy at first but turned out to be GoldenPalace.com, an online casino site that was, according to the Associated Press, seeking a PR coup somewhat more enduring than the $28,000 partially-eaten cheese sandwich that some felt depicted the Virgin Mary, that it had acquired the year before. Yes, the monkey's name is Callicebus aureipalatii – Latin for "golden palace." The rule is that species names have to be in Latin. 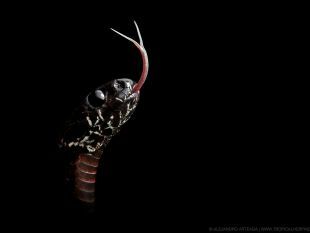 "We had to let people know that these cool snakes exist," Alejandro says, "and that these species might soon stop to exist, and we need people's help to protect the snake's habitat."